Rare! Only 2000 Signed and Numbered of this edition were produced. 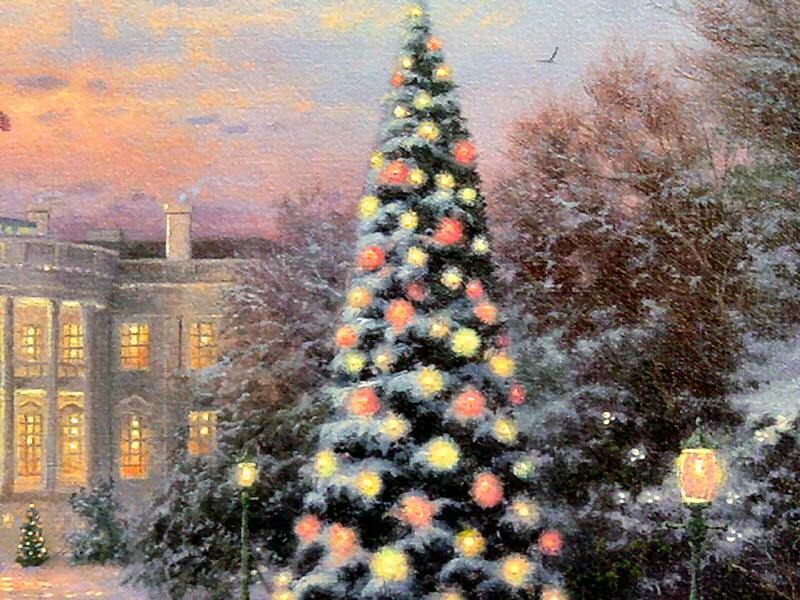 The Lights of Liberty is the first painting in Thomas Kinkade's Season of Lights series of patriotic paintings done for both the outgoing and incoming first families. 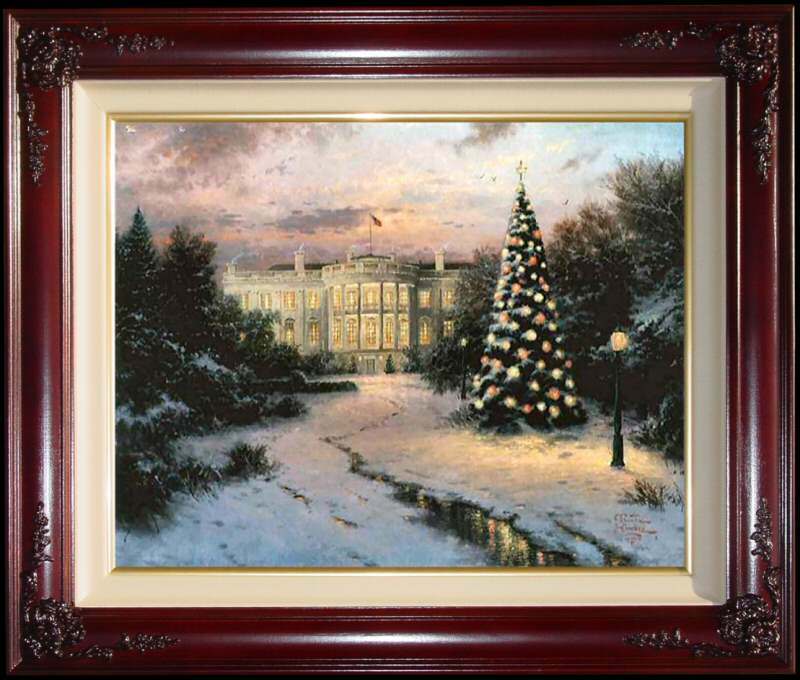 The other painting in the collecton is Memories of Christmas. The Lights of Liberty celebrates the national security and prosperity that flows from decisions made in the White House. 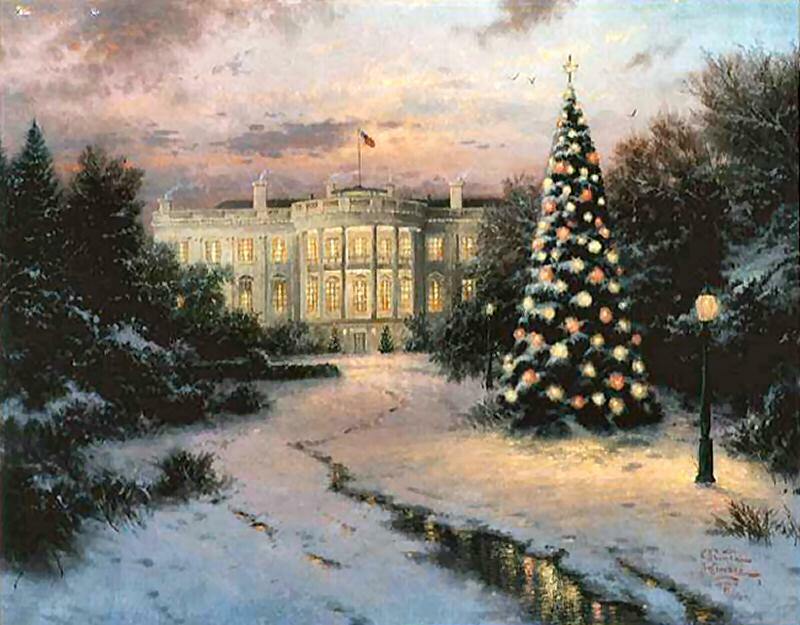 This painting is sometimes incorrectly called "The Light of Liberty"
++++ Thom created this painting in 2000 because he was invited by the White House to take part in the lighting of the White House Christmas tree. ++++ Brass Plaque with the legend "Lights of Liberty ~~ Thomas Kinkade"
++++ Theme ~~~Christmas at the White House, Winter, Snow and Christmas Tree. 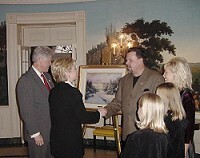 Click HERE to see larger picture Thom personally presents his painting "The Lights of Liberty" to the former President of the United States and the First Family in the White House. 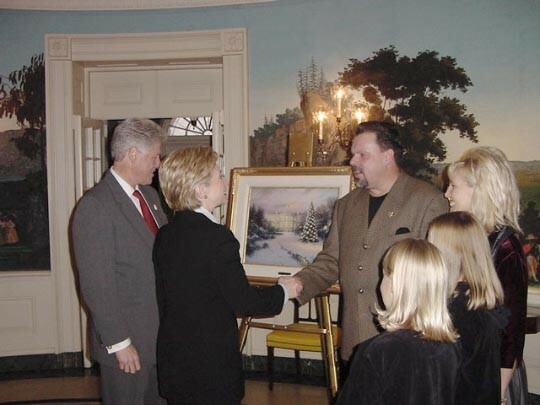 "I've never painted the White House before. One reason I'm doing it now is that I've been asked to take part in the inspiring ceremony that marks the lighting of the National Christmas Tree. How I look forward to the moment when the Kinkade family joins the American family in honoring this grand tradition. I intend to present 'The Lights of Liberty', the first in my new "Season of Lights" collection, to both the outgoing and incoming first families. 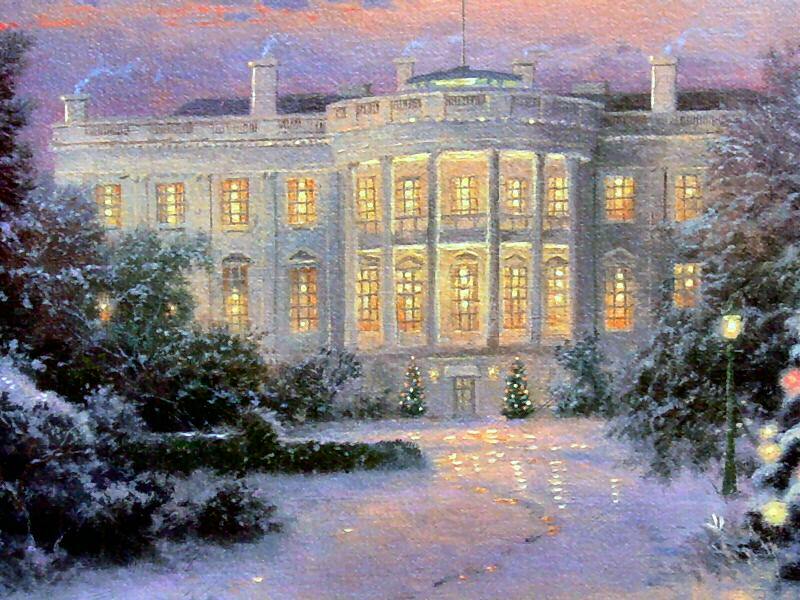 This painting celebrates the national security and prosperity that flows from decisions made in this building. 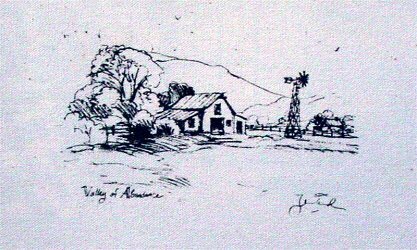 As we enter a new millennium, we are again reminded that the peaceful passing of the American mantle of power is a most important achievement. I haven't painted the tree ceremony; indeed, there are no people in 'The Lights of Liberty.' This is a scene of profound solitude and quiet serenity as the flag flies over the White House bathed in the flow of the sunset. One can be distracted by the pomp and circumstance surrounding a national tourist attraction. Here, instead, I portray the home of our national first family - and, by extension, of all American families. Perhaps then, the 'Lights of liberty' suggested by my painting's title could be either the peaceful lights of an American home, or the symbolic glow of the tree, which is suggestive of our precious religious freedoms. I pray that each year, this painting will cause many to celebrate the blessings of the season of lights."